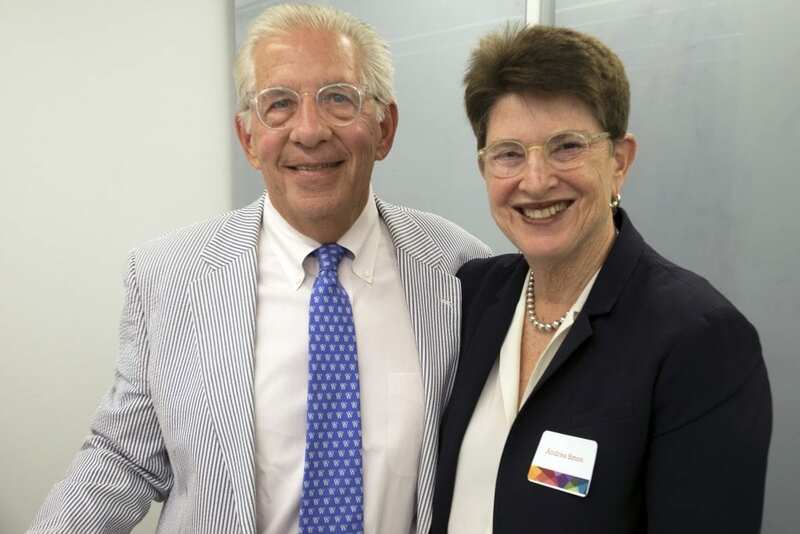 In early 2018, The Simon Initiative for Entrepreneurship was launched through a generous donation by alumnus Andrew Simon (LA63) and his wife Andrea as a multi-stage, collaborative initiative sponsored by Washington University’s Skandalaris Center for Interdisciplinary Innovation & Entrepreneurship to expand diversity and interdisciplinary approaches to entrepreneurship. To help women start and grow new entrepreneurial businesses, as well as recognize and celebrate their success. To expose women in business to the available support networks and resources within the Skandalaris Center and the Initiative to find a community that shares their passion and purpose. To assist the university in becoming a center for women entrepreneurs and to keep it in the forefront of this movement throughout the globe. The Initiative is the first of its kind at the Skandalaris Center and aligns perfectly with the Center’s diversity values. How did the Simon Initiative for Entrepreneurship come into existence? Andrea: As a corporate anthropologist I know how hard it is to find a new “big” idea that can really turn into a “gap” filler and soar into a successful, entrepreneurial business. The Initiative is our way to share our experiences with others and help them grow successful entrepreneurial businesses. Who do you want to benefit from the initiative as a whole? Andrew: We had dinner one evening on campus with a number of students who wanted to be entrepreneurs. But, as is so common, they didn’t really know what kind of entrepreneurs they wanted to become. At the very least, we want all those future success stories to have a great start on how to take an idea and turn it into a scalable business. Andrea: And far too often, big ideas are all around you. Our question: how can we help those with budding ideas see the bigger picture. 42% of businesses fail because they are trying to open markets that don’t have much need for their solutions. Can we help women entrepreneurs avoid the pain of early stage companies and learn how to adapt as they grow? Why is it important to provide resources to underserved audiences such as women entrepreneurs? Andrew: We want to help reduce the unknowns and offer skilled, knowledgeable solution-providers, connecting women entrepreneurs to the best resources, so they can find the right pathways more easily and with better mentorship. Andrea: Over time, the Initiative, we hope, will create a similar platform connecting women entrepreneurs who need support and advisors with those who offer that wisdom and service. In this way, women entrepreneurs can find the best answers to their needs more easily. We all have questions that need quick answers, resources, that need the right funding sources, advice that need trusted advisor. 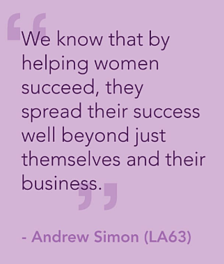 The Simon Initiative for Entrepreneurship’s first installment is the HER Summit: Helping Entrepreneurs Rise. The HER Summit will take place on November 3, 2018, and will feature six successful female entrepreneur speakers and panelists, a breakout session led by Brazen Global, and networking opportunities throughout the day. One of the speakers will be Andrea Simon herself. She will kick off the summit describing simple ways you can take your ideas and grow them into success stories—whether you’re thinking about starting your own business or trying to scale up your current one. As both an anthropologist and entrepreneur, Andrea is uniquely positioned to share insight on capturing unmet needs and filling the gaps in your entrepreneurial plan, or what Andrea calls gapology. The HER Summit will take place on Saturday, November 3rd from 8:30am to 2:00pm, featuring six female entrepreneurs sharing their tips and tricks for rising above the gender norms. There is limited seating so Register Now!